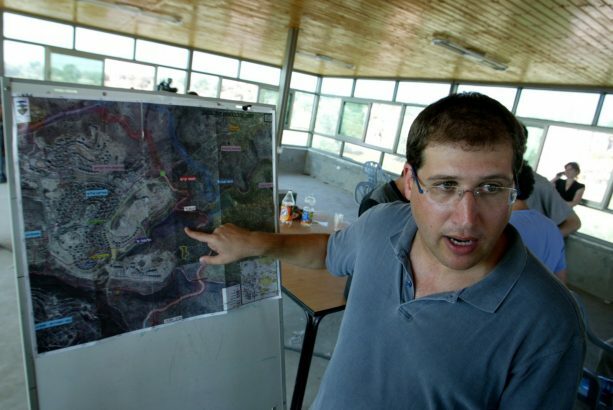 Michael Sfard shows on a map of the area of Bilin and Modi'in Illit, 04 September 2007. Photo by Olivier Fitoussi. Flash90. Leading Israeli human rights lawyer Michael Sfard talked to Fathom about his new book, The Wall and the Gate: Israel, Palestine, and the Legal Battle for Human Rights. The book has been praised for its ‘immense courage, power, and humanity’ by Philippe Sands, author of the hugely influential East West Street. 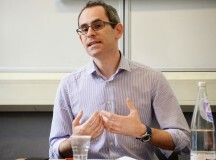 In this wide-ranging interview, Sfard and Fathom deputy editor Calev Ben-Dor debate the respective roles of law and politics in the protection of human rights in the territories; assess the nature of the legal and moral responsibility that fall on Israelis; weigh the proper place of a Supreme Court in a democracy; disagree about the potential for a near-term Israeli withdrawal from the West Bank; explore the spectre of racism inside Israeli society, and probe the ethics and politics of Israeli human rights NGOs ‘going abroad’ for funds and a larger audience. Download a PDF version here. Calev Ben-Dor: Your parents were Polish dissidents who emigrated to Israel in the late 1960s after your father was released from a prison term for his activism against the communist regime. How do you think that experience has shaped you and your political ideas? Michael Sfard: It undoubtedly had a very big impact on me. Our home was very political and I grew up with the principle that you should do the moral thing, even at a cost. My conviction that a liberal society and respect for human rights are critically important for the well-being of the individual probably comes from there. At the same time, I also learned from my parents that no matter how critical you are of Israeli government policy, you should appreciate and use the freedom and the political space that does exist. CB-D: You once wrote that while your father had that perspective, you thought that ’having all of these freedoms goes without saying, and I’m taking it from there,’ which suggests a generational difference. MS: Absolutely. My father would say ‘I agree with your criticism of the government but…’ and I would say ‘there is no but’. The fact I have freedom of expression and freedom to litigate for Palestinian rights is not something I should say ‘thank you’ for. These freedoms are today under a fierce attack, my father would also concede. CB-D: In 1998, after refusing to do IDF reserve duty in Hebron in the West Bank, you were sentenced to three weeks in an army prison. Until then you had argued that left-wing soldiers should serve in the West Bank because they would act with more humanity. Why did you change your mind? MS: I discovered that left-wing people are not better than right-wing people! I realised after serving in the Occupied Territories (mainly in reserve duty) that I’m not better. It was not as if I encountered something out of the ordinary, cruelty for cruelty sake or anything like that. I just witnessed the routine – 18-year-olds running the show, dominating a civilian population – and I realised that the problem is not just how an individual acts at a checkpoint: It is systemic. It is the basic reality of the occupation that drives Israeli soldiers into doing things they would never dream of doing in their civilian lives. CB-D: Hypothetically, would you have refused to serve in south Lebanon before the Israeli pull-out? MS: I wouldn’t have refused on conscientious grounds. The friction between soldiers and civilians in southern Lebanon was almost non-existent. It was a type of deluxe occupation and the southern Lebanese army was doing the dirty work for the IDF. Amos Oz has a story about a drowning man who sees someone else holding a plank which he grabs onto. Oz says that it is justified for the man to grab the plank to save himself, but not if he ends up pushing the other person off the plank [Oz uses the analogy to argue that it was just for Israel to be created but that the Palestinians must also be provided with self-determination]. What do you think of that framework? MS: I don’t see Israel as only a safe haven post-Holocaust. Most of my activism comes from a human rights philosophy and I see millions of people (one can like or dislike this, but it’s a fact) who speak Hebrew and who want to have political self-determination as Jews. This is part of their identity; it’s who they are and how they think they can pursue their happiness, and for me, that’s enough. I will not be condescending, or patronising and tell them there might be a better way. But I can also tell them that they can’t do it by victimising others. I don’t know what would have been my specific position in 1948, but we’re in 2018 and it’s clear that all the people between the Jordan River to the Mediterranean Sea are entitled to equal political civil rights and to be able to pursue their political aspirations and happiness. How we achieve that – whether it be one state, two states, two states with a federal element – is a different story. But any solution that would grant all these people these rights, and an ability to be influencers with a share in public life, is fine with me. CB-D: In the UK there are influential voices – one thinks of Ilan Pappe, for example – who claim Zionism can only mean oppression of non-Jews. He says it’s in the DNA. Yet you insist that there can be a Zionism that flourishes without the oppression of another people. Can you explain your thinking? MS: I don’t know if there is a Zionism that can flourish without oppressing another people, but I do want to test that proposition. I accept Pappe’s analysis that nationalism, inherently, is about the members of that nation, not others, so nationalism prioritises that nation over others. However, rational analysis suggests that there is a possibility of creating a type of government that would (a) accept the idea that Israel is the homeland of the Jewish people, with the right of return for Jews, but at the same time (b) Israel is the home of non-Jewish people who have minority rights and who can exercise their culture, religion and way of life, whilst still having (c) a Palestinian state that will be a homeland for the Palestinians. I don’t think that combination is impossible. There is enough support for liberty, pluralism, and equality in Zionist history for us to change our country to become that place. CB-D: Let’s discuss the interplay between human rights advocacy in the territories and left-wing politics. Some argue that although you say you’re promoting human rights you’re also doing something political. MS: The people who say that use the word politics as a dirty word. It all depends on how you define ‘politics’. If politics is about the distribution of power and rights within a society then the advocacy of human rights is inescapably political. If ‘politics’ means partisan party politics, the pursuit of electoral victory and government, then I deny I deal with politics. Of course, when I go to court to protect certain rights of my clients, it is connected to the world of politics. But that doesn’t make human rights defenders illegitimate. Courts around the world, at least in constitutional democracies, are supposed to guard the rights of minorities. In Israel’s case, there is a large group, Palestinians under its occupation that are not just weak; they have not had civil rights for the last 50 years, so the role of the court is not just more important but crucial. CB-D: How do you respond to those who want to end the occupation but, given everything that is going on, whether the Palestinian Authority’s legitimacy gap, the collapse of states in the region, or the inability of both sides to agree to final-status issues, they believe it would be suicidal to simply end the occupation right now? MS: I have a 13-year-old and a seven-year-old. They have never found a good time to tidy their room. Never. There is always a good reason to postpone. This is an excuse by those who are promoting the colonisation project in those territories. Whoever says, ‘There is nothing we can do now,’ well, what about evacuating settlements? Settlements are only an ideological entity. Not only that they do not serve any security interest but most security experts would agree that they are actually a security burden. The better question is: ‘What can we do to advance the prospects for ending the occupation?’ Israel has done everything it can to perpetuate the occupation. With the exception of Oslo, there has not been a single policy that Israel has introduced to advance withdrawal. So even if you believe it is not viable to have a Palestinian state right now, there are still so many things that can be done to demonstrate a serious intention of eventually ending the occupation. And those things are not being done. The exact opposite policies are implemented. CB-D: But surely it is not just an excuse. There may be some people using the continuance of the occupation to advance expanding settlements, but when the Israeli public come to vote every three to four years, there are many people who are genuinely worried about those security-related issues in the previous question. It’s not a charade. MS: Many people also voted for Trump. And many people make mistakes. I’m not suggesting these concerns are bogus, but I am positive that this is a matter of leadership. 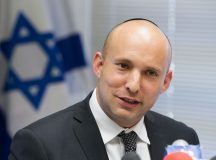 A brave leadership that will present the Israeli public with a real prospect of peace at a time when Israel is by far the most powerful entity in the region, and would not disseminate lies and manipulate the public by installing fear and hatred, will gain the support of the vast majority of Israelis. The security fears are genuine and should be addressed, but one must acknowledge that to a large degree they are a product of incitement and manipulation by politicians who surf only on such waves. So, I’m trying to convince my fellow citizens that they are being misled and that removing settlements will improve security and withdrawal through an agreement with international assurances will be the best thing for Israel’s security. CB-D: If you had to identify the top four or five practical reform proposals regarding the actual conduct of the occupation – so, not withdrawal tomorrow, even though you might favour that yourself, but reforms today – what would you say? MS: Evacuating settlements would be the first. If Israel did this, it would revive the hopes of the Palestinians that they have a partner for peace. Second, lift the siege on Gaza, a cruel collective punishment with thousands of causalities that is completely against the interests of the State of Israel. I’m not suggesting people should move freely from Gaza to Israel tomorrow, but the siege is an attempt to secure regime change through punishing two million people. CB-D: I assume that you accept the fact when certain goods go in to Gaza, Hamas uses them to advance their own agenda and interest? MS: Of course. We can discuss the details and agree there must be a security infrastructure in place to make sure goods are not being misused. But the fact is, that only a month ago a High Court petition was filed because the minister of defence would not allow a person injured in his legs during the recent clashes at the Gaza fence to move for travel to Ramallah for treatment. His leg was ultimately amputated. You have sick, old, family members not being allowed to travel to Ramallah. That is unacceptable. It has nothing to do with security and must be changed immediately. Back to your question about practical reform proposals regarding the actual conduct of the occupation. Third, there is a huge change needed in the way we treat Palestinian children. There is a new group, Parents against Child Detentions, and they point out that there are between 300-400 minors incarcerated in Israeli military and civilian prisons today. This experience damages their personality and creates the next generation of hatred. Regarding reforming the occupation. I have a big disagreement with some of my closest friends. I am a human rights lawyer and struggle with the question of whether I should engage with the system to remedy some things even though it might be seen to give some good PR to the occupation. I have been in this dilemma for many years but I have reached the conclusion that I cannot sacrifice the individual on the altar of some greater speculative good. CB-D: That leads us to what was your most famous legal victory when you persuaded the High Court in 2007 to reject the state’s claim that the route of one segment of the separation barrier erected during the second intifada had been based solely on security considerations. You have written that you were very conflicted about that victory, saying of it that ‘the system … digests the human rights actor and makes him part of the process’. What did you mean? MS: There are two issues here. Together, they complicate the simple description of what happened in Bilin as a ‘victory’. The first: the separation barrier took 2,000 dunams of village land and our victory returned about 1,000, meaning the village still lost around half of its land. When I arrived at the village on the day of the court’s decision it seemed as if Palestine has just been liberated and they had their own country! There was dancing and food was shared with journalists from all over the world. Today, I understand that the victory became a powerful symbol by accepting everything Palestinians have argued against the separation barrier [that security was an excuse for routes designed to allow expansion of settlements]. And because of that, the achievement was much bigger than the actual lands that were restored. In the book I try to theorise the difference between victory and success, defeat and failure. In this case, we won the case, thus a victory, but it was also a success in revealing to the public the truth about the separation barrier and by doing so we changed the way people thought of the barrier. CB-D: Yet you write that you felt conflicted about the outcome of the case? MS: This relates to the second issue. The fact we won against the government was used by the government to develop new talking points in the international community. It argued that Israel has a just system in which Palestinians have recourse to justice and the Supreme Court will make sure their rights are not violated arbitrarily. That can be a problem if our legal successes prolong the shelf life of the occupation. 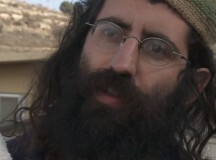 They make people who would otherwise go out on the street to demonstrate and call for the end of the occupation say instead, ‘Well, you know things are not going crazy, someone is making sure their property is not taken arbitrarily.’ This is the dilemma. CB-D: Let’s talk about your book The Wall and the Gate: Israel, Palestine, and the Legal Battle for Human Rights, published in English translation in 2018, and in which you discuss some of these dilemmas. Can you tell us why you wrote it and what reception it has had in Israel? MS: It’s too early to evaluate the book’s reception in Israel but I did have a luncheon to discuss the book where 200 people came, which was very rewarding for me, and I think it shows a thirst for these ideas. The book itself has several dimensions. It’s first and foremost a story of five decades of legal campaigns and human rights litigation in Israeli courts about occupation-related cases. On a second level, it is a reflection on this litigation: its characteristics, possibilities and effects as part of a movement for social change – in this case to end the occupation. On a third level, the book is a summary of what has been done up until now in an attempt to understand where we in the anti-occupation movement went wrong and what strategy we should pursue in the future. CB-D: Within the anti-occupation movement, do you debate the role of litigation and how large it should loom? MS: Yes. It should be much smaller than it is today. You need to understand why it does loom so large. After the collapse of Oslo, Israelis were told ‘we’ve withdrawn from Gaza and got rockets, we’ve withdrawn from southern Lebanon and got rockets, that there’s no partner for peace’. That narrative created havoc on the Israeli Left. It led to the disappearance of an effective parliamentary opposition and the unwanted unavoidable occupancy of the role of opposition by civil society and a few NGOs. But that is not their mandate and they are not equipped to do it. Nonetheless, in the absence of a real opposition to the government’s policies in the Knesset and in the party-system, we play that role. And just like in most human rights advocacy groups, litigation is a major tool for Israeli groups and lawyers are central figures. This creates an anomaly because social change movements are supposed to be led by their public campaign while litigation should be a secondary tool that assists the movement. But when litigation groups lead the movement, suddenly litigation is expected to be the central engine of change and that is wrong. CB-D: You say Israelis have been fed an inaccurate narrative about Israel withdrawing and getting rockets in return, and about there not being a Palestinian partner. But surely one of the major reasons for the collapse of the Left was the Second Intifada? It’s not just a case of politicians trying to fool the people, but also about actual Palestinian rejectionism and violence. MS: There is a shared responsibility here. But when there is a stronger party and a weaker party, it is not an equal division. I write in the book that the Palestinians will one day need to seriously reflect on the morality of their conduct of their struggle for liberation. CB-D: You have written – paraphrasing the late Rabbi Abraham Joshua Heschel – ‘some are guilty of the occupation, but all are responsible for it and responsibility creates a moral duty that is incumbent on members of the collective and the primary moral duty is to fight to end the injustice.’ You say the distinction between guilt and responsibility is ‘the foundation of the Jewish notion of tikkun olam’. Let me probe this claim. First, how far do you take this notion of collective Israeli responsibility for the occupation? In a Haaretz op-ed earlier this year you wrote that ‘collective responsibility is the moral responsibility society bears for external actions carried out by the collective’. Are you saying that all Israelis have a collective moral responsibility for the government’s policies? Would you extend that to a legal responsibility of any kind or would you distinguish responsibility from guilt? Also, is there a danger in this line of thought? Some in the West do slide from responsibility to guilt. Some hold all Israelis – sometimes all ‘Zionists’, defined as anyone who supports Israel’s right to exist – responsible and guilty for the occupation and on that basis call for a boycott of Israel, all of Israel, and even for the exclusion of Jews (i.e. those ‘Zionists’) outside Israel from participation in institutions, movements and so on. Is there a slippery slope problem with this argument about responsibility? Where should lines be drawn? MS: I believe in personal guilt, not in collective guilt. A person or an entity which has no direct responsibility in the legal sense for what’s happening in the West Bank should not be boycotted (that is why we do not have any settlement produce in my house). I believe that only those who have a direct responsibility for the abuse, in the sense that they were involved in initiating the abusing policy or practice, in planning it, aiding and abetting or carrying it out, are guilty and thus bear a legal responsibility. Those who have indirect responsibility, for example a responsibility that is attached to being a member of the abusing collective but not engaging in the practice directly, have moral responsibility. The line that is drawn between moral responsibility and legal responsibility is extremely important because, stemming from my human rights philosophy, I’m opposed to any sort of collective punishment. Punishment can only be directed toward an individual who is legally responsible for a wrong. Moral responsibility is different. It is indeed created when one is merely a member of a collective, for the acts that collective is carrying out externally. For example, shareholders of a company which has wronged a person or organisation will have to provide compensation, and their share price will drop. Those individual shareholders didn’t decide those specific actions, but provided the company with their resources, and if that company had done good things then they would have benefited from it. If any state pollutes another state, that other state could sue the polluting state and will receive reparations which come from the whole collective. Because the intensity of the relationship between a citizen and his country is second only to the relations within a family, and this creates a responsibility held by those citizens to everything the state is doing, even when that citizen is an internal dissenting voice. When the state benefits economically from digging up resources from the West Bank the economy benefits, and hence I benefit and unless I leave that collective and stop being a citizen I cannot escape that. Is there a danger for a slippery slope? Yes – everything can be manipulated and distorted. But for me I know the line between the two and I try to follow it. CB-D: In a recent article you wrote that you see a battle for Israel’s soul. In your opinion, what is that battle about, what is the balance of forces between the contending sides, and who are those ‘sides’: which social forces are lined up against each other? Also, what role do you think international actors can or should play in that battle? MS: From its inception, Israel (and possibly the Zionist movement preceding it) has contained two personalities. On the one hand, Zionism has been based on nationalistic, militaristic and illiberal characteristics. Of course, we can find the explanation to these traits of Zionism in the history of the collective that went through persecutions, pogroms, and the Holocaust. It definitely explains why Zionism developed a fixation with security, and prized the collective over the individual, and so on. On the other hand, and at the same time, Israel was established as a democracy when almost no other post-colonial state – with, perhaps, the exception of India – became a democracy. Israel was founded on the principles of the separation of powers, the rule of law, the inviolability of constitutional rights, with pluralism in academia and the arts etc. None of this should be taken lightly – it is also what Israel is. Israel’s two ‘personalities’ have been in tension throughout Israel’s life and a certain status quo had emerged between them. What we’ve seen in the last decade is that this balance has been shattered. The first personality has become stronger and is trying to silence the second. On one side are the democratic-liberal circles, and on the other side is mainly the pro-settler camp, parts of it dedicated to an ultra-nationalistic, illiberal and semi-fascist ideology. Most of the Israeli public is not engaged in this struggle and the problem is that people in academia, the media and the arts are now afraid to express their views, and instead are staying on the fence. The peak of that process of dismantling the liberal-democratic facet of the Israeli system of government was reached in the legislation of the Nation-State Law which withdrew from the balance expressed by the Israeli declaration of independence and provided a constitutional preference to undemocratic and Jewish supremacy set of values over the democratic-liberal ones. CB-D: Let me play devil’s advocate. Do you have any sympathy for those who argue that the Supreme Court is overly activist, that lawyers chosen primarily by lawyers, that the court is disconnected from the people and has set itself up as superior to the legislature, and that the judicial revolution of the 1990s pushed things too far so there is now a need to bring things back into a proper constitutional balance? MS: The funny thing is that the people who say this do have a case when it comes to ‘Israel proper’. As a High School student in Jerusalem I could feel the tangible support I received from the Supreme Court for my freedom – such as being free to go to a movie on a Friday night, or eating non-Kosher food – personal freedoms that were important to the secular Ashkenazi middle to upper class. Yet maybe one kilometre away from where I lived were people – mostly Sephardi Jews – with other concerns. They faced cultural discrimination and economic and social hardships. The Supreme Court was doing very little for them. While it was activist on political and civil rights, it was mostly reserved when it came to social, economic and cultural rights. And so, today, while the working classes, many of them Sephardi Jews, are not in the forefront of the fight to weaken the Supreme Court, they are mostly silent, because they feel, rightly, that the Court has not done much for them. It has been a big mistake for the Court to create an alliance with the middle and upper class and completely ignore the Sephardi working class. But the people who make the arguments about the judiciary, which you paraphrased just now, don’t do it because they do not like what the Court has ruled on in ‘Israel proper’. They make the argument because they want to curb the High Court’s power when it comes to the West Bank and Gaza Strip. It’s really about the occupation. And the reality is that, hitherto, the Supreme Court, when it comes to its rulings on the Occupied Territories, has been a passive court. It has hardly ever intervened, except for safeguarding a few red lines on property rights, torture etc. But apart from these it has koshered every activity and policy the government has implemented there. Today, the argument about the ‘activist court’ is being raised in the last few years because the Supreme Court has become a little more involved in guarding Palestinian property rights, creating a barrier for the development of settlements on private Palestinian lands. Look, I’m ready to engage in this quite American, legalistic debate on the role of the judiciary in a democratic country, but I do not believe that this argument (about an overly activist High Court) is a genuine political philosophy argument when it is made in Israel. Rather, it is an argument that is being picked up opportunistically and instrumentalised to prevent the High Court from ruling on property issues in the West Bank. CB-D: You have written that plans to deport 37,000 African asylum seekers are ‘racist, plain and simple’ and that ‘the only explanation that I can find for the deportation [of the Africans] is that they have brown skin. And I’m terrified by that insight.’ Why do you have no sympathy for the arguments made for deportation by some citizens of South Tel Aviv? How would you address one of those citizens about their concerns? MS: It has been government policy that has driven asylum seekers to southern Tel Aviv. It was very convenient for the government not to disperse the asylum seekers across Israel but to create that clash between the working class and asylum seekers in Tel Aviv, and then to present the clash as a zero-sum thing. The government has to answer for that. When I said that this was a racist thing, my comment was directed at the government. There are more than 100,000 illegal aliens today in Israel from Eastern Europe, three times the number of Africans, yet we’ve heard nothing about them being ‘a demographic danger’, ‘taking our jobs’, or calls for their deportation. I only supported with shame the agreement struck (and lasted six hours until cancelled) with the UNHCR [that would have led to half the asylum seekers staying in Israel with half going to European countries]. As a state which claims to be the national homeland of the Jewish people, I felt Israel should accept people who are being persecuted. The moral duty to reach out to people who are persecuted should be the primary lesson of our collective history, so to make an agreement that we could turn away some of these people to other countries I found in itself shameful. But we retreated even from that agreement in a few hours. CB-D: Many Israelis feel uncomfortable about the method used by some NGOs of ‘going abroad,’ whether it be for fundraising or to criticise the government in public. Some organisations that do this have lost some legitimacy in the Israeli domestic debate. What are your thoughts on this? MS: When those who ‘feel uncomfortable’ also demand that Sheldon Adelson not give one penny to Israel then I will stop going abroad. When they stop getting support from the Evangelicals, I will stop doing advocacy trips to the UK. When the government of Israel asks AIPAC to stop lobbying in congress, they could make the argument in good faith. Until that day this is a hypocritical position. That’s one argument. Second, the occupation is not an internal Israeli issue. I believe that the international community has an obligation to be involved; it is to an extent responsible for the creation of the problem, and it is the biggest enabler of Israeli practices. The Israeli Right is being duplicitous. They have the settlements thanks to money raised abroad. They want to stop us being funded by foreign sources, but that is exactly what they have been doing – and much better than us! – for years. This is not about principles. solely to the policy and actions of the Hamas. And he should remember that the African refugees crossed the border from Egypt illegally. The only reason they came was looking for a better life but there were not persecuted in Egypt. An excellent and interesting article giving an honest ground level view regarding the illegal Israeli occupation of the West Bank and many other issues.